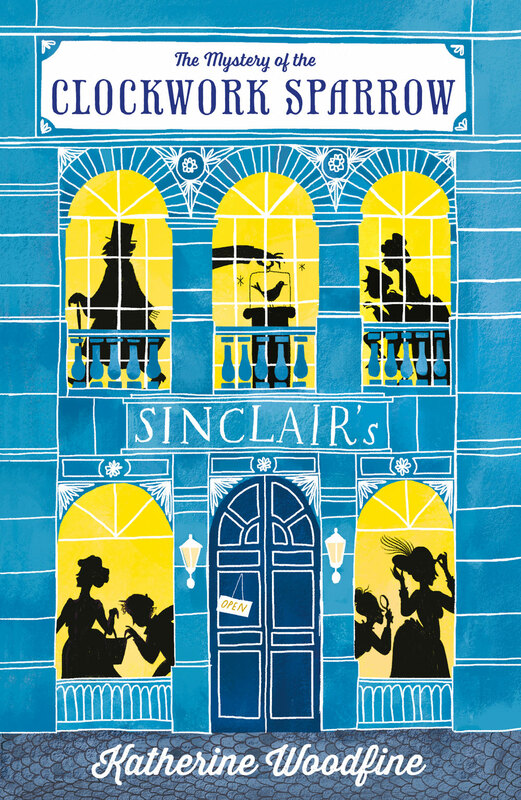 A marvellous mystery set in the early 1900s in London where Sinclair's Department Store is just about to open. 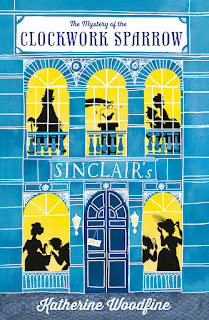 Our heroine, 14-year-old Sophie Taylor has been hired to work in the millinery department, where the other girls treat her as though she is a snob, although she's really just very shy and nervous of beginning her life in the working world, having been thrust out of education after her father's death and being required to find a way to make her living. Also in the cast is a young porter, Billy, who is constantly in trouble fore being sidetracked and seeking out-of-the-way hiding spots where he can read his story paper mysteries, and a homeless lad he befriends on the street. Lillian (Lil) Rose is one of the so-called 'Captain's girls', who model all the fine fashions in the store and is also an aspiring actress who has just scored a role in the chorus of a new show. She and Sophie make friends and both take Billy under their wing. As part of the opening festivities there is to be a grand exhibition featuring an intricate jewelled clockwork sparrow which sings a different tune each time it is played. On the night before the store is to have its grand opening there is a robbery and the sparrow, along with other jewels, is stolen. Sophie happens to have been seen at the store just before it happened and suspicion falls on her. There's a dangerous gang involved, and danger inside the store as well as outside, culminating in a marvellously exciting scenario which makes heroes of them all. Sophie, Lil and Billy make a fine team, following clues and facing dangerous and life-threatening situations. They are all better for being friends, and I look forward to following their exploits in further books in the series. I have a lot of girls at school who ask for mystery stories and I'll be happy to add this series to the library stock for them.